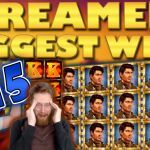 Another, Tuesday, another week gone by, and another Big Wins clips from the Casino Streamers for week 23 / 2017. 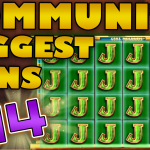 Today’s compilation clip includes wins in a number of different slots, on low and high stakes. And funny enough, the two biggest wins, on the compilation, come from two very unexpected online slots. So without spoiling anything let’s dive in to check, and enjoy, each of online slot wins on stream during 5th until the 11th of June 2017. Let's start with BlackCatSeven and his incredible luck on the Rainbow Riches slot game. The slot streamer was paying SEK 20 bets on Thrills casino when he triggered the casino slots bonus feature. The pots full of gold started spinning, each one with a different multiplier. BlackCatSeven was extremely lucky, landing one of the best multipliers, of 250x, and getting a huge SEK 5000 win. One of the most amazing comebacks happened, last week, on Casinomon’s stream. The casino streamer was on his last balance and things weren’t looking good. And then, while playing €4 bets on the classic Dragon Born slot machine, he got the bonus feature. A wonderful round, full of great winning combos and lots of wilds. The result? - A big €650 win. If you want to try the popular slot, you can find it on most online casinos, including Maria Casino. Nick is probably the luckiest casino streamer out there. 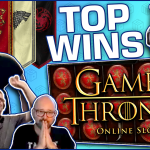 The slot streamer impresses us, week after week with his incredible big wins. And what better slot to win in, than the highly volatile Dragon's Treasure, from Merkur. 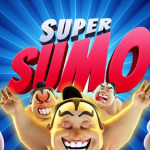 Nick was playing £2.5 bets on Casumo casino when he instantly activated the bonus. Not only did Nick get a number of astounding hits, but also 3 re-triggers, very lucrative and hard to get on this particular slot game. With 40 spins, in total, Nick got a huge £830 win. As most slot players must know! - Getting the Wild Desire random feature on the Immortal Romance slot game is pretty difficult. And even if a player is lucky enough to trigger it, the result is not always great. But this, wasn’t the case with David Labowsky last week. 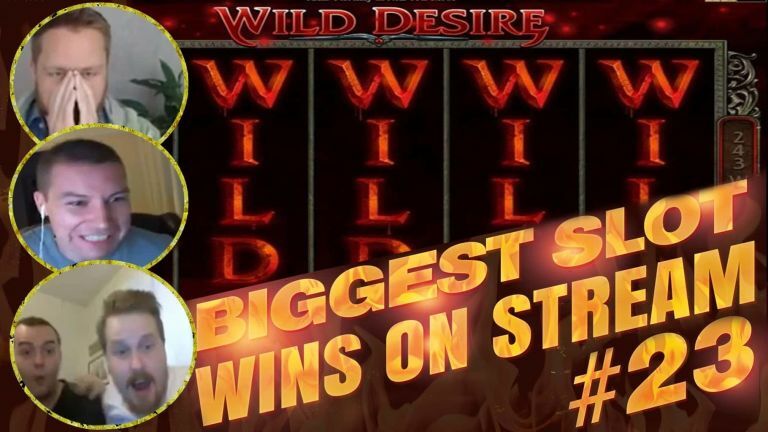 The casino streamer was playing €1.5 bets on Super Lenny casino when the Wild Desire hit. In a number of breathtaking moments, 3 reels turned wild, one after another. And after a full combo with one of the best symbols on the slot, David won an epic €675 in total. Not bad for a random feature. We always say, on these articles, that you only need one spin. And one spin is all it took for Slotspinner to turn a bad bonus into an epic one. The german was playing the Break da Bank Again slot machine on 4 reel sets, with €1.8 bets on each set. Getting the free spins feature on one of them, Slotspinner’s bonus was looking horrible. And then, on the last spin, it all came around. An extraordinary winning combo turned into a mega €1080 win. Play the popular slot on casino Calzone and let us know if you beat the streamer's win. Another huge in, on another Merkur slot, by another streamer. This time it was Rex Borgersen who won big on the Knight’s Life online slot. The slot streamer was playing €2.50 bets when he activated the bonus spins. And after a spectacular round and a re-trigger, he won a total of €4222. A stupendous win that make us love Merkur slots even more. Try them all on Rizk (review) casino and experience their, incredibly high, potential first hand. Jack hammer 2 does not have a reputation, of a slot machine that can give big wins. But anything can happen in the world of slot, and nothing proves this best, than Kim’s win last week. Triggering the free spins feature on a big €20 bet, Kim was not expecting much from the bonus. But, boy was he wrong! An almost full screen of the second highest paying symbol, gave a stupendous €4425 total win. The slot streamer played the slot on OVO casino, but you can find it in almost any other major online casino. Rocknrolla was also making some big boy bets last week. 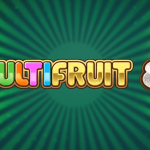 And when we say big bets, we mean £20 bets on the Fruit Warp online slot. It was on one of these bets that the slot streamer triggered the bonus feature, with the grapes as the special symbol. Taking the bonus all the way to the end, Rolla won a spectacular £4200. If you want to try this online slot, you can play it in almost any online casino, including Winning Room Casino. Check out more of our clips on the official CasinoGround’s YouTube channel.